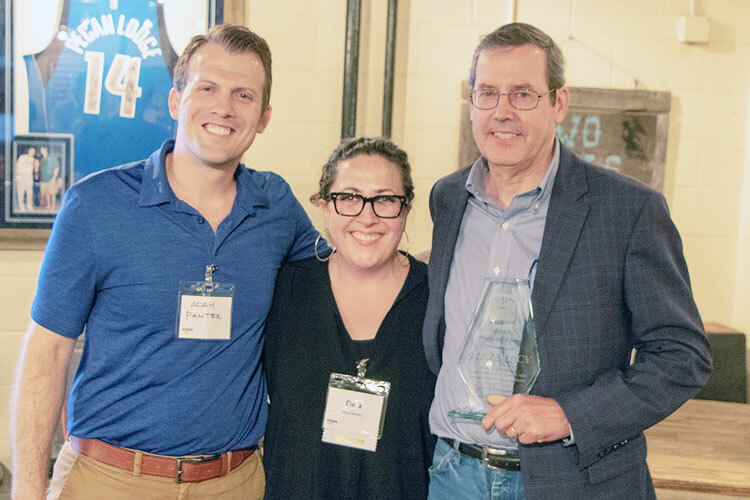 JQ’s Stephen H. Lucy, P.E., accepts Dallas Chapter SMPS Hall of Fame Award (left to right): Adam Panter, President Elect of SMPS Dallas; Dara Davulcu, President of SMPS Dallas; and Stephen H. Lucy, P.E., CEO of JQ. Dallas — JQ, an award-winning structural and civil engineering firm, announced that its CEO, Stephen H. Lucy, P.E., was recently honored by the Dallas chapter of the Society for Marketing Professional Services (SMPS) with its Hall of Fame Award. Akin to a lifetime achievement award, the Hall of Fame Award recognizes individuals considered to be the “best of the best” among their peers in the architecture, engineering and construction (AEC) marketing industry. Inductees have made a significant impact on professional services marketing and the Dallas chapter of SMPS. In 2015, Lucy was named CEO of JQ and the firm has grown to six offices with over 100 employees. Lucy is widely recognized for his professional and civic contributions including being named a Distinguished Graduate of the Zachry Department of Civil Engineering at Texas A&M University and an honorary member of both the Texas Society of Architects and the Dallas Chapter of the American Institute of Architects. He is a frequent guest speaker and columnist for The Zweig Letter. Under Lucy’s leadership, JQ is a longtime supporter of SMPS. Lucy has served as a presenter and a panelist on numerous occasions and regularly participates as a mentor for the Dallas chapter’s mentor/protégée program. Other nominees for the Dallas Chapter Hall of Fame include Mike Wagner, CPSM, Alliance Transportation Group, Inc.; Lea Kaltenbach, Carter, Inc.; Cathy Hutchison, CPSM, Idibri; and Carolyn Ferguson, CPSM, Winmore Marketing Advisors.